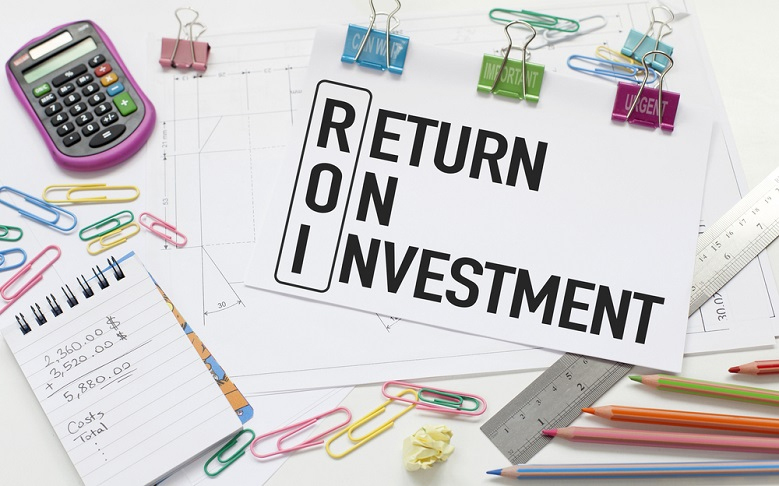 One of the most important concepts for new real estate investors to understand is return on investment (ROI) and the math involved in determining it. In this article Ethan Roberts covers ROI as it applies to rental properties with Mike's stamp of approval.. But how do we determine ROI for rental properties, especially when an investor has the option of paying cash or taking a mortgage, and ROI will vary with the amount of the down payment and the interest rate? I buy a home for $150,000 with cash, spend $12,000 on closing costs plus remodeling, and then rent it out for 12 months. My total out of pocket is thus $162,000. The tenants pay $1,500 per month in rent, or $18,000 for the one-year period. What’s my ROI for that year? To calculate, we divide $18,000 (the annual return) by $162,000 (the total investment), so our total ROI is 11.1%. Keep in mind that this is a gross, not net figure, because I haven’t calculated in other necessary costs throughout the year, such as taxes and insurance. The net ROI is more likely to be around 8% after those expenses. But instead of using cash, what if I take out an investment loan, with a 20% down payment? Figuring out the ROI with a mortgage creates a lot of numbers, so please read the next section slowly and carefully. My out-of-pocket expense on this transaction will be $30,000 ($150,000 sales price x 20% down payment), plus $15,000 for remodeling and closing costs, for a total of $45,000. Notice that it cost me $3,000 more for closing costs by taking out a mortgage instead of paying cash. The amount I’m financing is $120,000 ($150,000 less my $30,000 down payment), and let’s say I take a 30-year loan at 4.5%. My principal and interest come to $608.02 a month. (Calculating principal and interest payments on a mortgage is a tedious task, so I suggest using an online calculator like this or this.) For the sake of simplicity, let’s say that my taxes and insurance add $300 a month. That gives me a total payment of $908.02. Assuming that the tenant pays rent every month for 12 months, each month I’ll have a positive cash flow of $591.98 ($1500 rent less the $908.02 mortgage payment). Multiply $591.98 x 12 months and my annual cash flow is $7,103.76. Now divide $7,103.76 by $45,000 (original cost out of pocket from down payment, closing costs, and fix ups) and we get 15.7%. So the ROI from my annual cash flow alone is 15.7%. But what about paying down the principal, which builds equity in the property every month and is paid by my tenant via rent? If you run an amortization schedule, you’ll see that the first year’s principal pay down for a full 12 months is $1,771.21. If I add that to the $7103.76 from the cash flow, that’s $8,874.97. Now instead of 15.7%, my ROI becomes 19.7%! So you can see that although paying cash will return more income each month, using a mortgage increases the percentage of your return, or in other words, the ROI. Now let’s consider the question “Will taking a 15-year loan increase or decrease my ROI?” Using the same home sale price and down payment, I take a 15-year loan at 3.75% (15-year loans are usually 0.75% lower than a 30-year rate). With the shorter loan term, my monthly principal and interest payment now rises to $872.67, which decreases my cash flow to $327.33 a month, or $3,927.96 annually. But the shorter loan term increases my first 12-month principal pay down to $5,560.68. Add the new annual cash flow to the new annual principal pay down to get $9,488.64. Divide that number into $45,000 and the ROI becomes a sizzling 21%! So in short, if we take out a 15-year rather than a 30-year loan, it increases the annual ROI. Conversely, making a down payment of more than 20% will decrease your ROI, whether it’s on a 15- or 30-year loan. And as they say on the late-night television commercials, “But wait, there’s more”! I still haven’t even included the property appreciation, which historically averages 4%–5% a year; any sweat equity that I create in the property if I buy it below market and fix it up; or my tax benefits, such as deductions and depreciation. So you can see that financing a rental property offers a real estate investor the potential for a huge ROI. Of course, some investors may want a higher monthly cash flow, so they pay cash for investment properties. Maximize your ROI on every rental property you purchase, and you’re well on your way to building great wealth as a real estate investor. 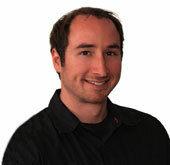 Mike Wendricks is a 4th Generation Real Estate Broker and Investor. He is frequently purchasing additional investments, managing millions of dollars of real property and when it makes sense, property flipping. Mike's clients learn the "ins and outs" of what it truly takes to invest in real estate, long after the closing. One day he hopes to write a book about the fun and "not so fun" that goes into the business. He’s been investing in real estate since age 19 and a licensed Realtor since 2007. Whether you are a newbie or a seasoned professional, Mike will be a very lucrative asset to your Rolodex.